Are you a Music Lover who has a Large Collection of Audio CDs ? Then you should Convert them to MP3 and Store the cd in your PC etc. At least you dont have to worry about the music CDs getting Scratched. Make sure you also get the right listening equipment for your music, for example Graham Slee HiFi preamp of all kinds. There are two ways you can transfer music. Either use the default Copy music files from an audio music CD of Windows Media Player. Insert the Audio CD and start Windows Media Player. If WMP is in Skin mode, press CTRL+1 to view WMP in Full mode. Click Copy from CD. Or, on the File menu, you can click Copy, click Copy from Audio CD, and then choose the drive from which you want to copy. Click to select each audio file that you want to copy. By default, all files that you have not already copied are selected. Click Copy Music. This copies the file into the My DocumentsMy Music folder by default. Here, we look at five best software applications that help you quickly extract your CDs and save them as MP3 files. Tip : Media Player not Playing Audio & Video-How do Play Them ? 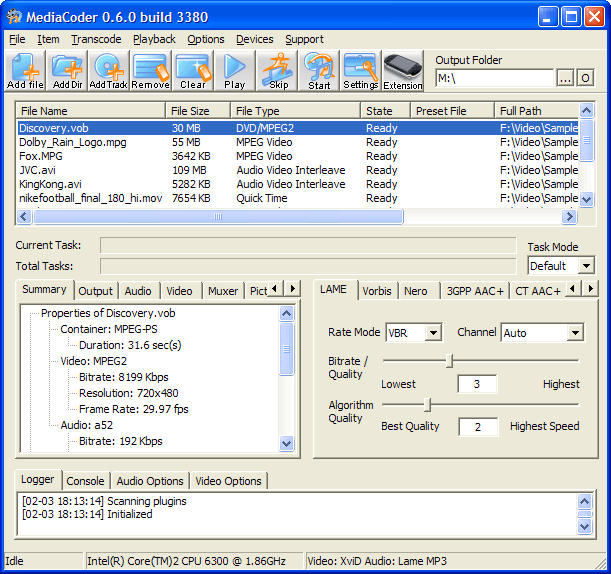 MediaCoder : MediaCoder is an universal cd music audio/video batch transcoder distributed under GPL license, which puts together lots of excellent audio/video codecs and tools from the open source community into an all-in-one solution, capable of transcoding among different audio/video formats. CDex : CDex is an application that records cd music audio tracks from CDs and saves them to a disk as regular WAV files or as encoded sound files. This program features an MP3 decoder (MPEG 1/2/3-based) and a new LAME encoder, and has built-in support to generate OGG Vorbis files from cd music . CD Ripper : CD Ripper can rip your Audio CD and cd music to Bin/Cue. And can burn your Audio Bin/Cue image.CD Ripper is easy to use but fast and effective. Exact Audio Copy : Exact Audio Copy is an audio grabber for audio cd music using standard CD and DVD-ROM drives. The main difference between EAC and most other audio grabbers is that it works with a technology, which reads audio CDs almost perfectly. If there are any errors that cant be corrected, it will tell you on which time position the (possible) distortion occurred, so you could easily control it with e.g. the media player. Audiograbber : Audiograbber is the Best According to me. Its fast, easy to use and extremely effective.Audiograbber copies cd music from CDs or external sources such as radios, cassettes, or turntables. The music is saved on your hard disk as WAV, MP3, WMA, or OGG files.